Knightsbr­idge 44mm internal black fire doors are constructed from solid engineered-timber components, to give more stability to the final door, and reduce any problems such as expansion, twist and warp, that ordinary timber components can have. Black Knightsbr­idge Fire Doors are manufactured from engineered door components which can include MDF, particle-board and laminated timber. Black Primed-Plus ready for top-coat finish. Knightsbr­idge Fire Doors are available in Black and White-Primed (to paint). LPD Black+ Knightsbr­idge Fire Door codes - KNIBLAFC27 - KNIBLAFC30 - KNIBLAFC33 - must be treated to manufacturer's instructions. LPD Knightsbr­idge Black Primed Fire Doors have a copy of the manufacturers instructions included in the packaging. - JAS Timber cannot be held responsible for any variations in manufactured LPD ​Knightsbr­idge Black Primed Fire-Door sizes, pattern, construction, grading, moisture-content, treatment, certi­fica­tion, knots, colour or grain. 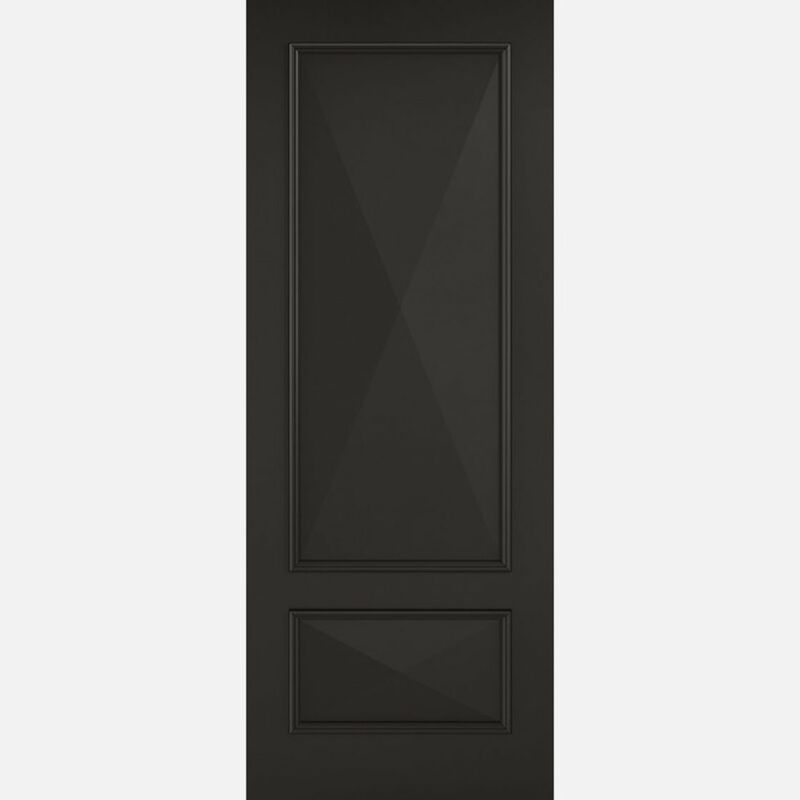 - It is the purchaser's respon­sibility to check the suitability of their FD30 Knightsbr­idge Black Primed Fire Door and it's Certi­fica­tion, in conjunction with Intumescent Strip, the Fire-Door Frame with Architrave, the Fire-Door Panic Hardware and the Knightsbr­idge Black Primed+ Fire-Door's Situation of Use. - We cannot cancel or exchange LPD Fire Doors after order - LPD Knightsbr­idge Black Primed+ FD30 Fire Doors are supplied as a Special Order. Once ordered, the manufacturing process will begin, and there can be no alteration or cancellation - No alteration or cancellation will be accepted by LPD Doors Ltd.
E. & O.E. see T&C - We do try to keep prices and specifi­cations of LPD Knightsbr­idge FD30 Black Fire Doors correct, but mistakes can be made!